Ylann Schemm’s December 2013 article adds to other studies showing that the number of papers by African researchers published in scientific journals (almost always based in the North) has grown significantly; more than quadrupled between 1996 and 2012. Juxtapose this with this thought by Tim Davies of the World Wide Web Foundation, “it’s still really hard to find scholarship on Africa coming out of Africa…,” and one begins to sense that there is a paradox. 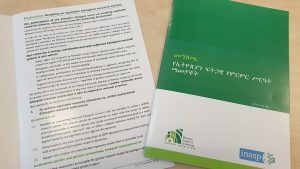 The issue is not necessarily that research from Africa is not produced in significant quantity but that it “has fared badly in terms of the conventional measures of competitive, global publication performance” (Eve Gray). Such measures include appearing in peer-reviewed, high-impact journals, or being listed in citation indexes such as Web of Science and Scopus. 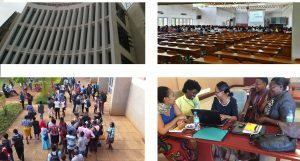 So, even as the growing global visibility of African scholarship is being celebrated, being left out of the party are the many researchers whose findings and ideas do not make it into global academic conversations via these time-honoured venues. How to bring their work out of the shadows? In today’s world, visibility can be achieved in ways other than through publication in scientific journals and citation index listings. I am not implying that journals do not matter; what I am saying is that they are not the only way to gain recognition in the research community. With many internet-based connecting technologies and services now available, scholars can, for instance, use blogs and various social media tools to spread the word about their publications (which may be journal articles) and reach a wider audience beyond those who may have institutional or personal subscriptions to the source publication. The reverse, from tweet to blog post to peer-reviewed article, is also possible, as Jessie Daniels attests. New media allow scholars to also engage in meaningful group conversations, collaborate with colleagues across the globe and become part of the new invisible college. Or they can simply hang out in these spaces, listening in and gaining insights from ongoing conversations. On improving statistics for the visibility of African scholarship, Schemm believes that “the returns could be many times greater over the next decade if awareness, usage and research capacity are tackled in a collaborative and integrated manner by African institutions, access programs and publishers.” One can hardly quibble over that. Of the three suggested prongs for achieving this, awareness raising would be the easiest and fastest to achieve; and, of the sources of support she lists, she left out one important group — scholars themselves who can take the initiative on this. 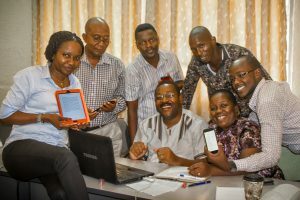 With only a computer and internet access, the agency of scholars themselves as a driver of improved visibility to research from Africa should not be overlooked. However, even with a raft of free technologies available for profile building and ramping up research output awareness, very few researchers make use of them. Brown (2011) reported that only 9.4% African development studies researchers use Web 2.0 tools for academic purposes. I will discuss some examples of Web 2.0 tools in my next post, due soon. A Spanish version of this post is also available on the AuthorAID website.